We always look forward to going up to Townsville as the weather is always great and the city really embraces the event and the whole town is in V8 party mode. 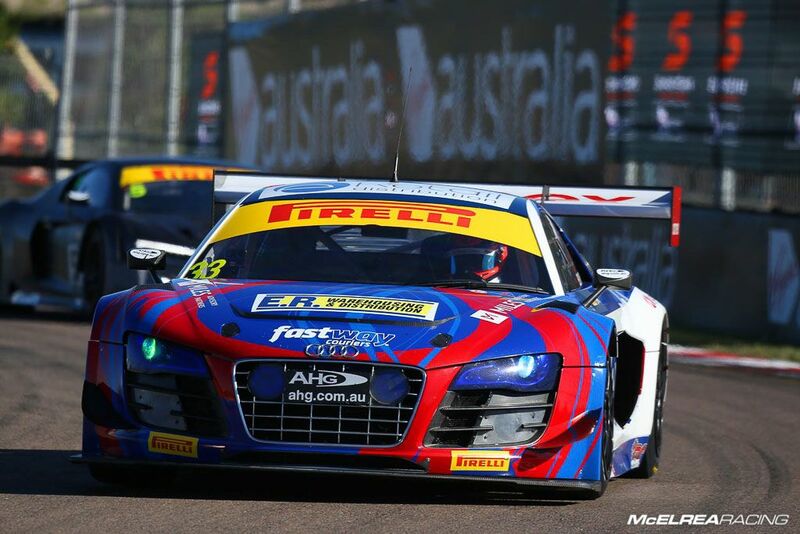 We normally travel with the Carrera Cup and last year we were with both the Carrera Cup and the Australian GT. 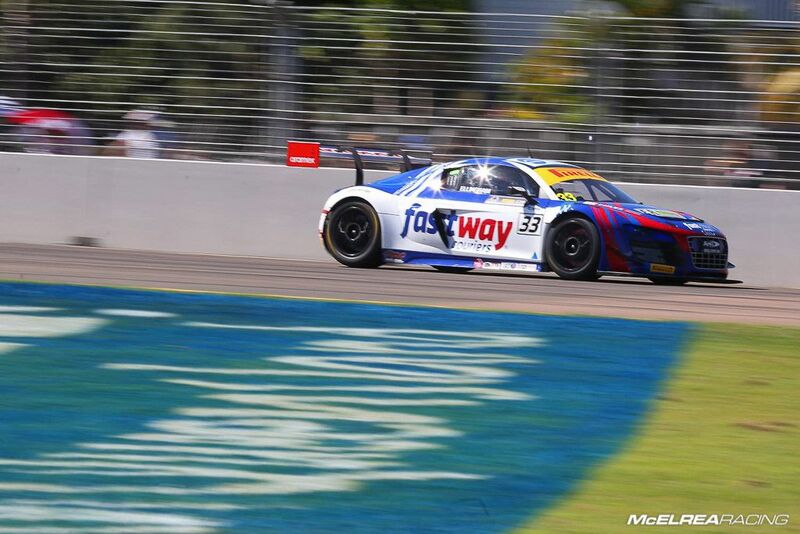 We have often had success at the challenging Townsville street circuit so were cautiously optimistic about another good weekend with our AGT drivers. Due to the typically high number of professional drivers Wallsy qualified 17th in 'Champ' class which didn't satisfy his competitive nature too well! He had a decent race 1 and after the pit stops he was running as high as 4th so we expected he would settle to around 6th by the end of the race. Unfortunately the cool suit system malfunctioned after the pit stop which led to the driver getting very hot in the car so we instructed Wallsy to slow down so he didn't make a mistake due to heat exhaustion and damage the car. A top 10 finish was well on the cards but it was safer to bring the car home in one piece so we could battle on Sunday. 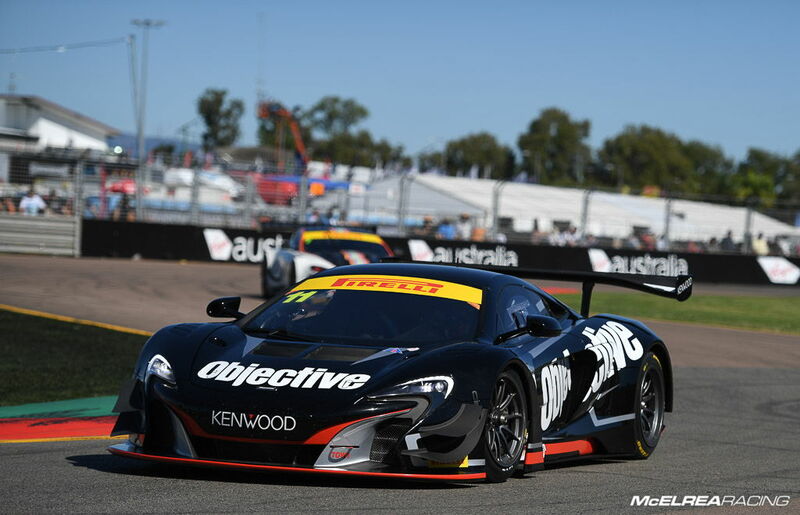 In race 2 Wallsy started from Grid 12 and put all Luffy's advice into play and did a very solid job in his first stint battling with many of the other championship contenders. After the CPS (Compulsory Pit Stops) had been completed he came back on track in the lead of the race. He withstood intense pressure from a number of drivers with Klark Quinn finally getting to the tail of the Objective McLaren on the last lap. Tony ran slightly wide at turn 11 but Klark hadn't seen the yellow flags covering the corner and should not have passed. His 30 second penalty promoted Wallsy back to the race win, his second in the 2016 championship. 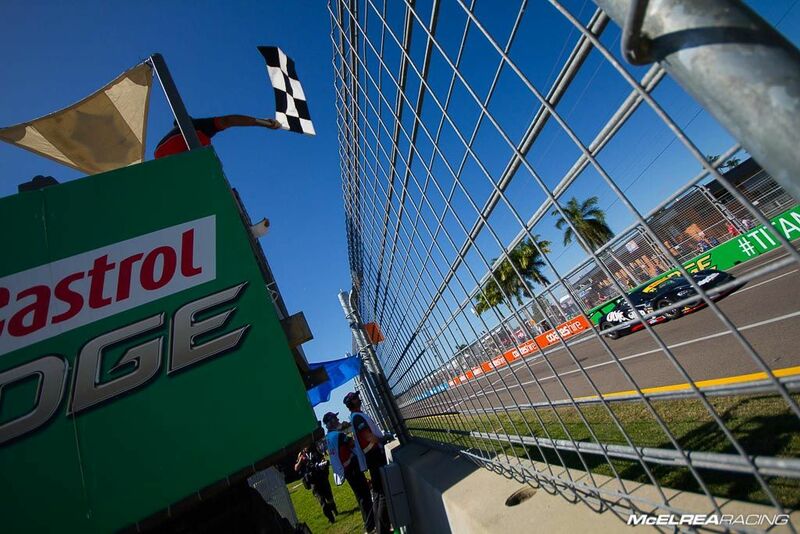 This was Simon's third visit to the Townsville circuit and it is one of his favourite Australian tracks. Last year Simon shared his Porsche Cup car with Matt Campbell finishing 6th and 8th in Trophy class. Simon qualified 20th in 'Champ' class so like Wallsy he was looking to make plenty of progress in the race. In race 1 he had a problem with his helmet visor which was distracting his concentration so we decided to make his pit stop as early as possible in the CPS window to repair his visor and bleed the tyre pressures. 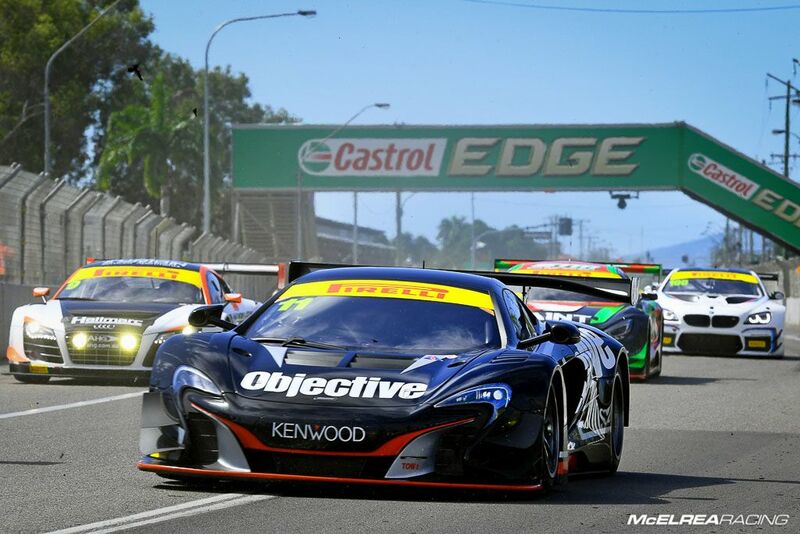 After the race the team discovered the front brakes had worn far more than expected in the high temperatures in Townsville which was making it very difficult to be consistently fast. Despite worn tyres he did his best lap times in the second half of the race but wasn't able to make as many positions as he would have liked. 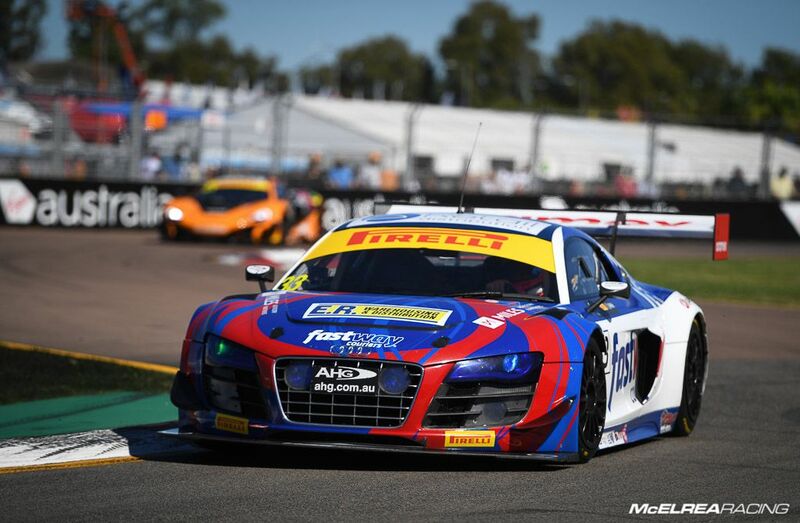 In race 2 Simon had fresh front brakes and certainly made the most of the extra braking power in the Fastway Couriers Audi. In his first stint he made his way up to 10th place and after the Compulsory Pit Stops was running as high as 7th. After a couple of front running pros got by Simon settled into a rhythm and was on track for a top 10 finish. With Jon Webb slowly closing the gap to Simon he had to take his chances getting through the lapped traffic and he got caught-out with only a handful of laps to go sending him up the escape road at turn 11. Despite not finishing the race, we were very impressed with his great pace and consistency. Obviously we are rapt for Wallsy taking his second race win in only his second season of AGT. And this was after he ended up in the medical centre on Saturday afternoon for heat exhaustion! After a tough weekend and non-representative results at the Phillip Island Enduro back in May, it was both very pleasing for Simon and Tony to have a far better weekend at sunny Townsville. Special thanks to Darin Mandy from Digital Realism for the fantastic images. 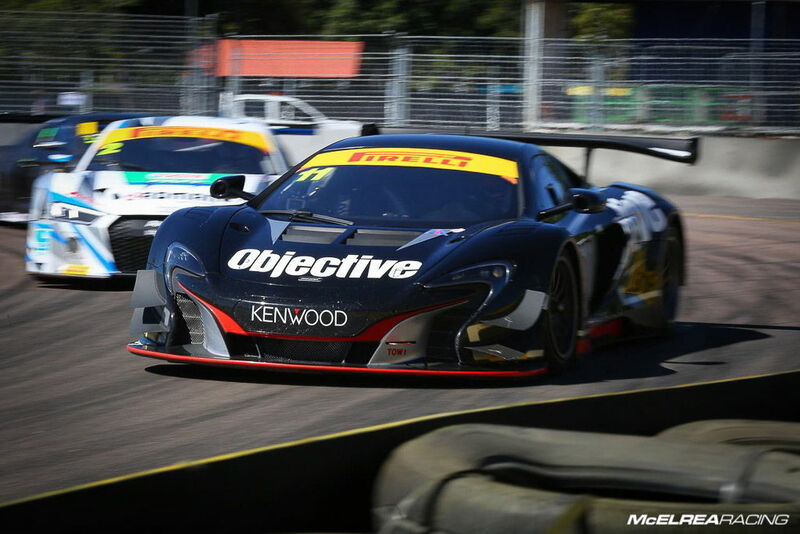 Our next AGT round is at Sydney Motorsport Park in seven weeks for round two of the Australian Endurance Championship. 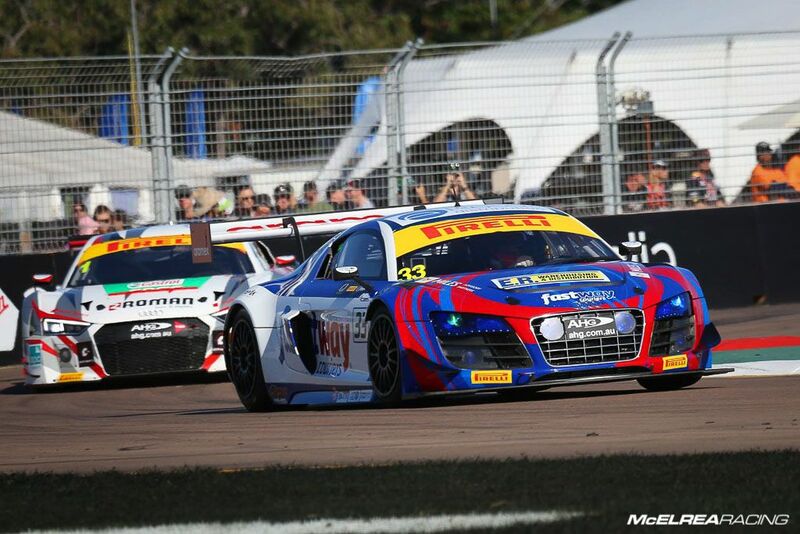 It will be another huge weekend for the awesome MR crew as we will have Carrera Cup on the same weekend. See you there!